Never miss another review! Click the toggle above to be notified about new Dr.PAWPAW reviews. We promise not to send you unrelated messages. "Great stuff wouldn't be without it." "I highly recommend the DR PAWPAW products they’re so versatile. The Original balm is a must have, it does everything and even helps with my eczema and psriosis. The Hair and Body Wash is great. The Hair and Body Conditioner is amazing, I didn’t even need to moisturise my skin after showering! The 7in1 Hair Treatment Styler is a Miracle in a bottle. I’ve had nothing but compliments about my hair and skin after just one week using it. Great value for money, does what it says on the tin! Wouldn’t be without it." "Great lip balm and doesn't make you lips sticky like loads of other balms!" "Literally use this every day- several times a day on my hands, cuticles and nails. I absolutely love it- so much so that I have one for my handbag and one for my desk at work! Hands down the best multi purpose balm I've used and it delivers superior moisture. Buying the bigger size for sure and will also buy for my Mom!" "Dr paw paw 7 in 1 excellent hard to find in shops though"
"I ordered before Christmas but hadn't received the product by The time I ch caked my credit card statement. When contacting the company they (the MD) looked into it immediately, confirmed my order and that it had been sent but that they would send a replacement. Received a day later! Excellent and responsive customer service and an excellent product (my wife tells me). Congratulations Dr. PawPaw, wishing you every success." "I use this every day and carry it with me everywhere I go. A truly amazing product!" "I really love using this product. This is without a doubt my desert island product. It is so much uses for it, lips, face, cheek, eyes and of course it is fantastic to use on my daughter who sometimes gets nappy rash. A little goes a long way and it lasts a long time. I love this product so much, I used to use a similar product to this on the premium market which is quite expensive. I've brought this product for my mum and she loves it. I will be going on holiday in april and will definitely be bringing this in my handbag for the plane. Thank you so much for making a product suitable for all ages to use." "Easy to use website, great product, recommended." "I found this in dublin and I use it for everything even my nails!! Really good highly recommended"
"Love this balm. Wonderful on dry skin and lips." "Wonderful. I use it on my lips, face, hair and eyebrows. Great stuff." "I suffer from dry peeling lips & this sorted them out as soon as I applied! also smoothed some on my feet over night & the results are great, good all round multi product at an amazing price, a forever fan." "Fabulous product - great for my lips and hands - even better than my usual pawpaw creme! Dr Pawpaw will now be my regular creme!!" "EknV4y <a href="http://zzfhmggejnil.com/">zzfhmggejnil</a>, [url=http://htzlxumpfndc.com/]htzlxumpfndc[/url], [link=http://asssmprhlixs.com/]asssmprhlixs[/link], http://pmsypqukogfa.com/"
"I love my dr paw paw, my lips feel so soft! Brilliant product ;)"
"Great stuff - perfect for a potter's hands at the end of a long day in the studio, and lovely for dry, winter lips too!" "A friend suggested I try Dr. PawPaw to help my dry skin, which tends to get much worse during the winter months. I've been using it now for the past five weeks and I've noticed a real improvement. I’d definitely recommend it." "Great product! 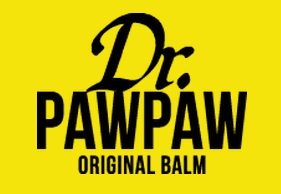 I have used many other Paw paw balms and this has to be one of the best! Thanks!" "I tried Dr Pawpaw after reading of it in a magazine. I am pleased with it, good for lips but also cuticles, heels, itchy patches. Also, unlike a lot of companies, if you contact them they answer you helpfully - I contacted them with a website query and suggestion."